Enjoy time in the great outdoors! 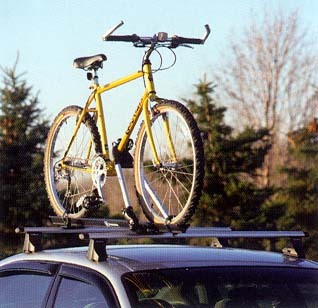 Each GM Accessories bicycle carrier can accommodate one bicycle on the roof of your GM vehicle. A dual-locking design secures the system. Quick-release attachments make loading and unloading a snap. Four carriers can fit on the roof of your car or truck. A factory roof rack and GM Accessories utility bars are required.